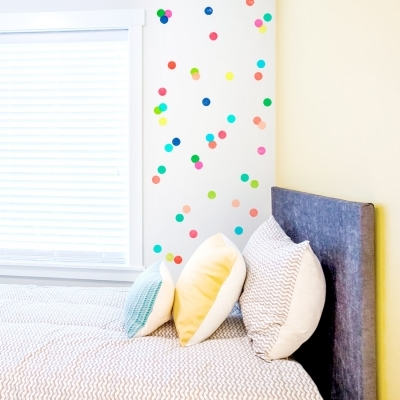 Our Bright Polka Dots Printed Wall Decal will add a pop of color to any space. Purchase several kits in our two different sizes to add some variation and interest to your walls. 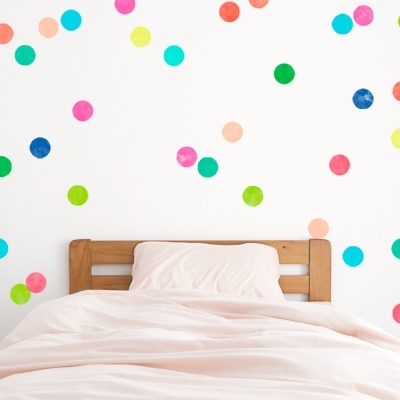 Perfect for an office or bedroom that needs a fresh look! Unlike our solid standard vinyl decals, Wallums Printed Decals are made from ultra premium finely woven fabric that is repositionable and re-usable. 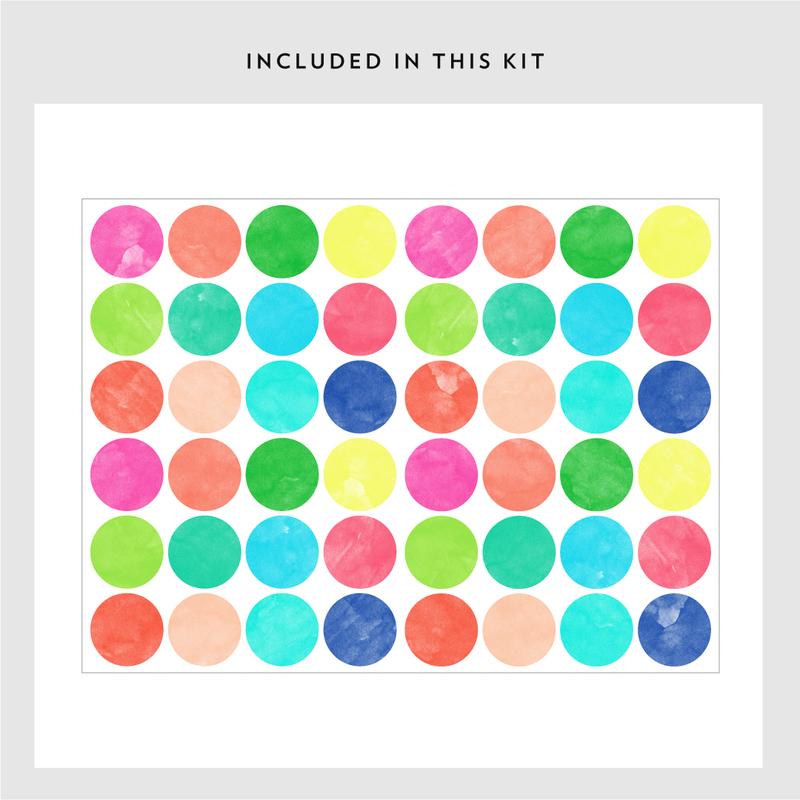 Perfect for renters, apartment, dorm rooms, classrooms and holidays. Our printed wall decals can last for years but are easily removable when you move or decide to change it up.